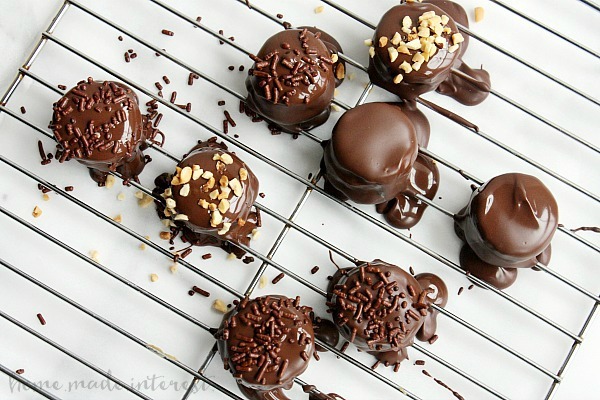 Chocolate Peanut Butter Banana Bites - Home. Made. Interest. These Chocolate Peanut Butter Banana Bites are an easy snack recipe for kids and adults! Alright guys I’m totally psyched about The Jungle Book movie coming out on April 15th. I’ve loved the story ever since I listened to it as a book on tape when I was a little kid trying to stay entertained on a long summer road trip. I loved it even more when I saw the Disney cartoon version. Now I can’t wait to see it as a live action movie. The trailers have been amazing and I have only heard good things so far! 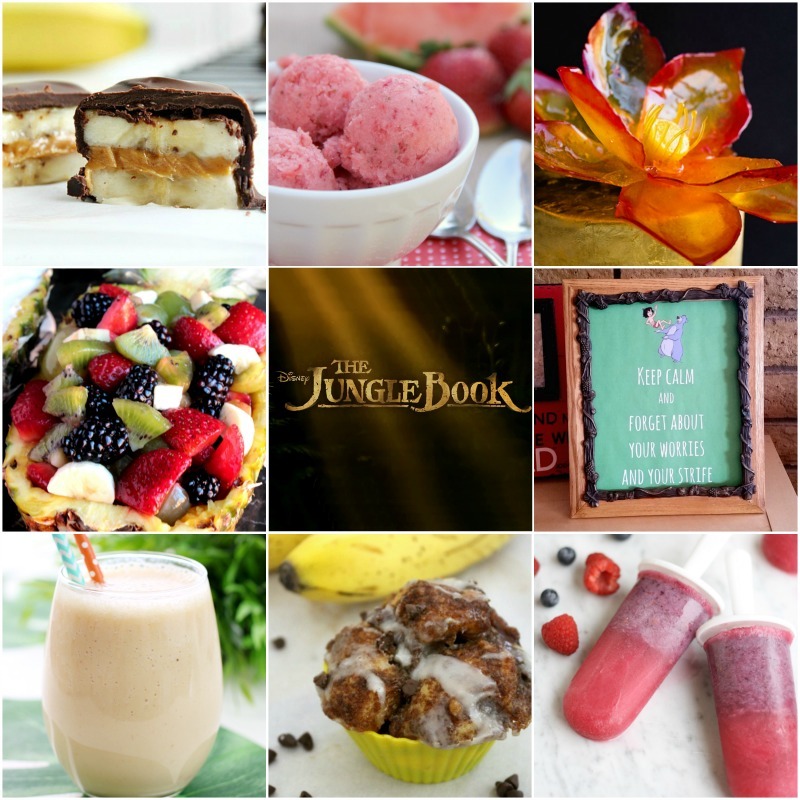 We’ve teamed up with some of our favorite bloggers today to get ready for the movie and you’re going to want to check out all of the awesome recipes and projects everyone shared! I keep up my street cred with my niece and nephews by impressing them with my knowledge of Disney movies. I watched all of them when I was little (and not so little) and now I love having a reason to re-watch them with the kids. Aladdin, The Little Mermaid, The Jungle Book, Aunt Kat has seen them all and knows the words to all of the best songs. Don’t be jelly. One of my favorite parts of The Jungle Book is when Mowgli meets King Louie. The monkeys are adorable, and the song is now stuck in my head. In honor of the upcoming movie, and the three little monkeys in my life, I made these simple Chocolate Peanut Butter Banana Bites. They are easy to make, and full of things every kid (and adult) loves, chocolate, peanut butter, and bananas! To make them all you need is your favorite chocolate chips (I chose dark chocolate), some bananas, peanut butter, and any toppings you would like to use like nuts or sprinkles. Slice the banana up and place a small scoop of peanut butter on a slice, and then top it with another slice. 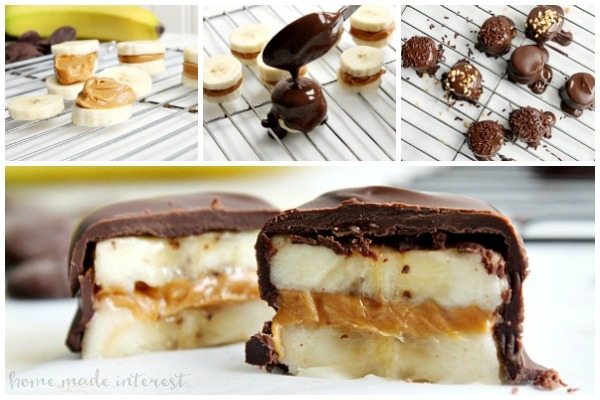 Then melt your chocolate in the microwave and pour it over the peanut butter banana pieces. Sprinkle on your topping and done! Once the chocolate has cooled you can eat them right away or you can put them in the freezer and have them for snacks through the week. These chocolate covered peanut butter banana bites are an easy snack recipe for kids and adults! Cut the banana into round slices. On one slice add a small amount of peanut butter, approx 1 tsp. Place another slice on top of this and smooth away any peanut butter that may ooze out of the sides. Repeat this until all of your slices are used up. Melt chocolate in the microwave and place the slices on a piece of parchment paper. Use a spoon to pour the chocolate over the slices and let it cool completely before eating. 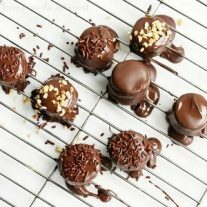 You can also put the finished chocolate covered slices in the freezer for a cool treat. Next Post » Grilled California Club Sandwich – National Grilled Cheese Month! I love the Jungle Book! I am also loving these chocolate peanut butter banana bites! Wow, so simple yet I’m sure so delicious! What a perfect flavour combination. Oh man, thses look so good! My ideal snack!